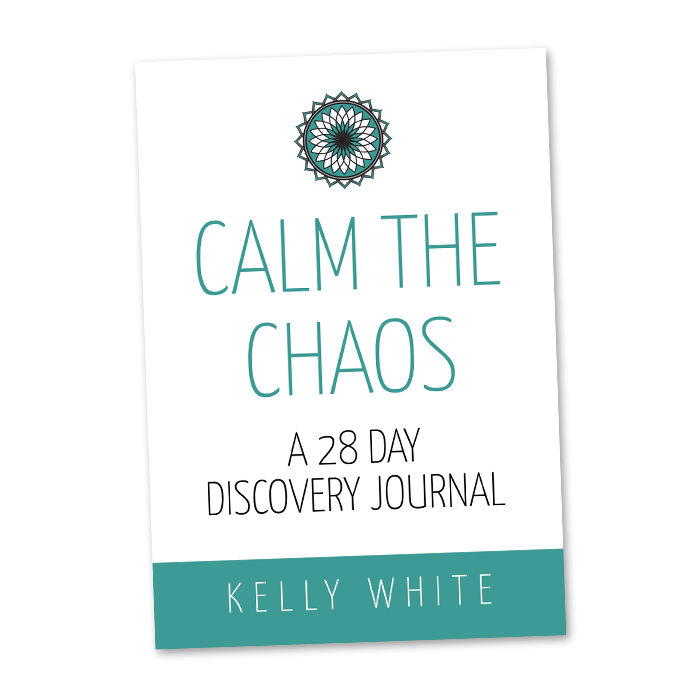 Calm the Chaos is Kelly White’s 28 day program that will teach you how new ways to reduce stress, manage energy and achieve peak performance. 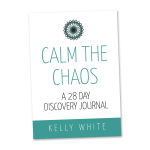 “It’s not about eliminating chaos,” Kelly explains, “but about using the chaos to your advantage.” While too much chaos causes stress, anxiety and unhealthy adrenaline spikes, well-managed chaos can be cathartic and transformational. Have you ever wondered why you feel like there is something missing or that you are not completely happy? Maybe you have a great career, a nice house, the perfect spouse, 2.5 kids, a dog, and everything tells you that you should be happy yet you still feel unfulfilled? Well, you are not alone….I used to feel this way too. 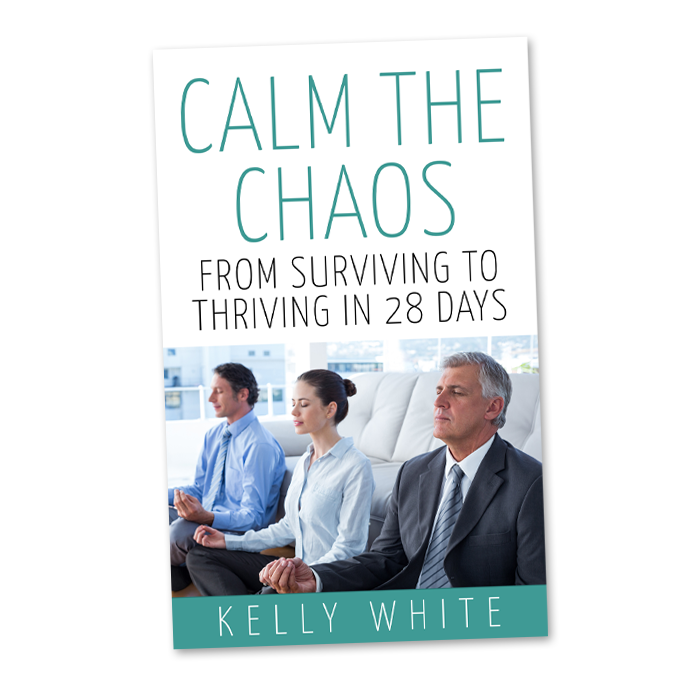 What I realized is that in today’s rapidly moving world, we live in a state of chaos and frenetic energy. The world around us tells us that a consumer lifestyle will make us happy – that having more and doing more will satisfy all of our needs. The reality is that this lifestyle is wreaking havoc with our lives, the lives of our children, the world and the universe.